When we head underground and board the subway, most of us don’t give much thought to all the streets and landmarks we’ll be zipping past as we move along to our destination. 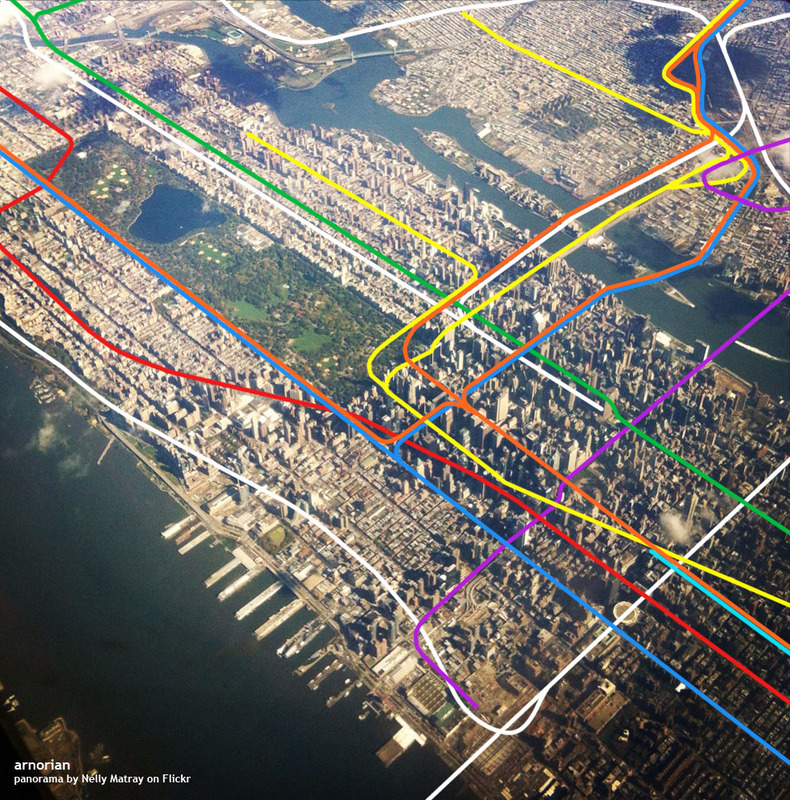 But here’s an incredible mash-up from map enthusiast Anorian that offers a much different perspective on exactly where the subway travels. An amalgamation of digital photos taken from a commercial plane and the expert mapping of each line, this beautiful image is far more captivating and insightful than any printed or online map out there. 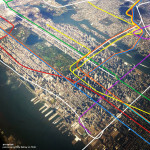 The photo map shows the New York Subway, PATH and NJ Transit Lines, including the 7 line extension, the first phase of the Second Avenue subway and the East Side Access. Looking a little closer at the picture, you can easily make out major buildings like One World Trade and the Empire State Building, as well as the city’s streets and avenues. 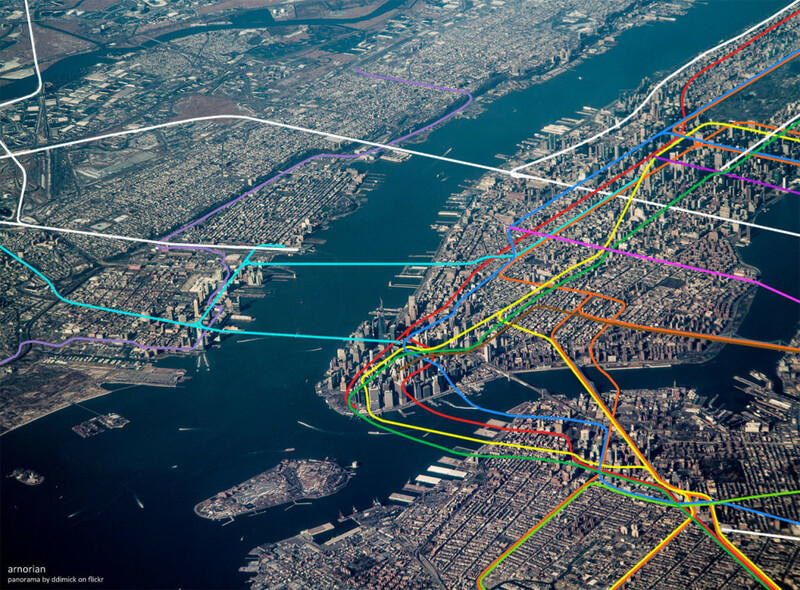 Even with all of its problems, the NYC subway system is definitely one to be appreciated. This mesmerizing image is most certainly a reminder of just how massive and complex the whole thing is.